Snapshot of responsibilities: Key user journeys, translating user requirements into wireframes, creating pattern library for content modules, responsive design, prototyping, design sprint reviews, specifying interactions, user testing. With a family of 40+ publication titles to their name, Informa required a set of templates to standardise brand design. My role was to audit 4 representative titles to standardise content display, layout and functionality into modules which could be used by all titles. By devising a handful of categories to begin the process, the challenge was to remain as close to these initial categories without them bloating to cater to all editorial nuances. Discussing the importance of having less categories with the client early on, helped to move this content aligning process forward. I devised a pattern library of content modules to differentiate the content categories from each other. This was a further challenge as stakeholder interviews for each of the 4 titles were continuing in parallel with visual design. Reviewing templates and the module pattern library became a frequent task. It was also crucial to enable flexibility for editorial to combine metadata elements and imagery in a manner fit for their specific content. Coupled with this I enhanced the subscriber’s onboarding, profile and preferences process, using insight from early customer interviews. This was a rapid prototyping project. In a week I had audited the content and drafted a series of 11 templates for the visual designer. These designs were refined over a series of weeks as further customer insight became available. Regular work in progress check ins were scheduled with the client for their feedback. From an early stage, responsive design drove the page layout. A left hand panel was introduced in order to give the content more space and prominence on the page. include Save / Export image as … functionality for all image types. 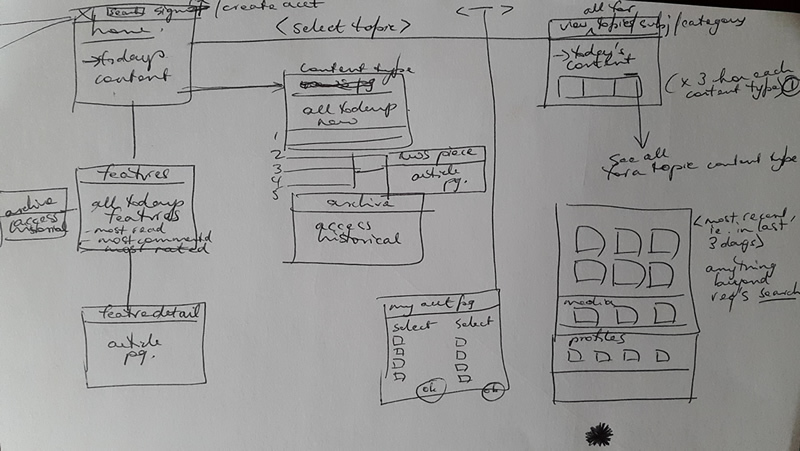 When I had template wires to represent the entire user flow I conducted user interviews to test findability and usability. These consisted of 8 remote testing sessions with existing subscribers using Invision. Their feedback was used to refine the visual designs, labelling and structure of the user account screens. 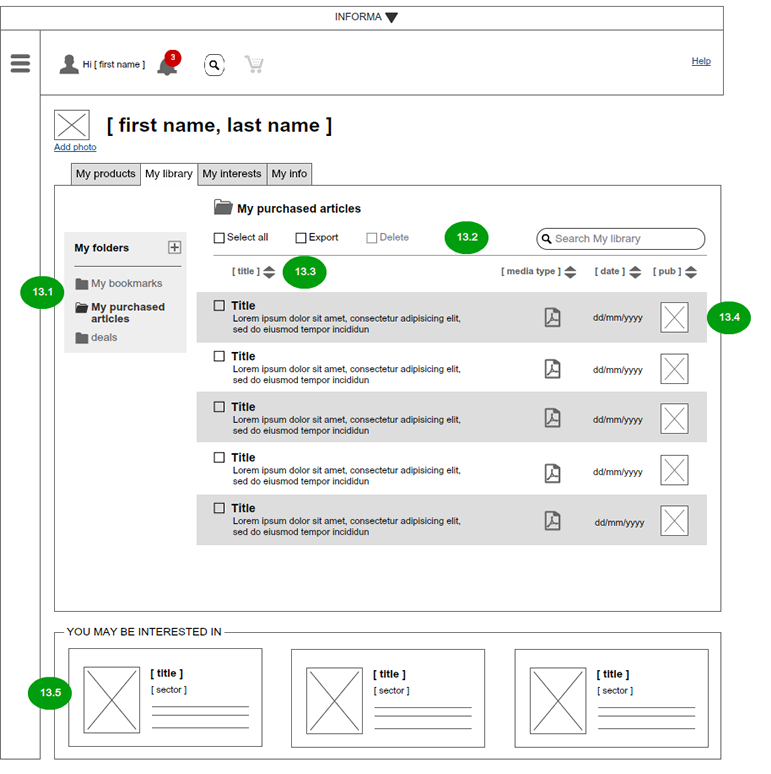 The final piece of the project was to write the technical specifications to hand over all wireframes, user journeys, personas and the design assets to the front end developers based in the US.